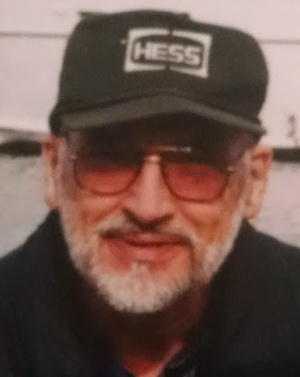 Douglas A. Sorensen, 76, of Spring Grove, PA, passed away on April 13, 2019 at Lancaster General Hospital. He was the loving husband of Gwen Sage. Born in West Chester, PA, he was the son of the late Martin Sorensen, Jr. and Catherine (Coty) Sorensen. His professional career consisted of thirty three years as a State Inspector for PennDOT, ten years with Monaloh Basin Engineers, and most recently a year with Scheid Produce. In his spare time, he enjoyed spending time with his family and watching Eagles and Steelers Football. Douglas is survived by five children, Stephen D. Sorensen (husband of Jennifer), Douglas A. Sorensen, Jr., Karen E. Henry (wife of Craig), Sharon C. Sorensen and Deborah A. Sorensen; nine grandchildren and 2 great-grandchildren. He was predeceased by his previous spouses, Charlotte Ann Sorensen to whom he was married to for 34 years as well as by June Marie Sorensen to whom he was married to for 15 years. Relatives and friend are invited to attend a Funeral Service at DeBord Snyder Funeral Home & Crematory, 141 E. Orange St., Lancaster, PA 17602 on Thursday, April 18, 2019 at 11:00 AM officiated by Pastor Thomas Hennlein. A closed casket visitation will be held from 10:00 AM until the time of the service. Interment will follow at Habecker Mennonite Church. So sorry for your loss. Blessings for peace and comfort to you all.